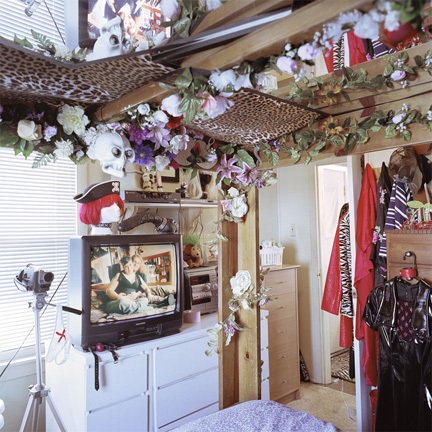 In his series Channels (2006-2007), Ian Whitmore photographed the placement of televisions in various households. 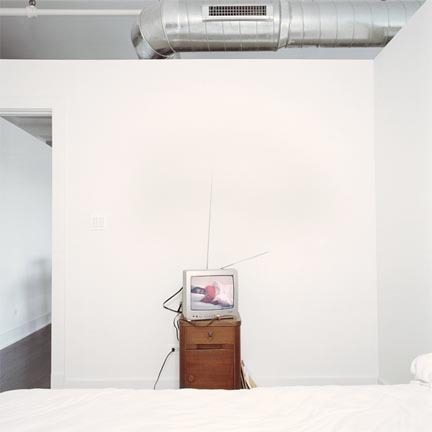 The televisions are centrally composed in the images, blending into their domestic environments while also remaining the focal point among other possessions. The photographs are titled with the names of the residents, but Whitmore does not show them as physically present in the rooms. Instead, each householder is shown on his or her television screen, appearing to gaze directly into Whitmore’s camera, in a video recorded in the same room in which we see the television. This disorienting play of representational space intermingles with elements of voyeurism, as we are led to question who is truly the object of the gaze in these photographs: the television, the residents of the home, or the viewer of Whitmore’s photographs? Ian Whitmore completed a BFA at the University of Nebraska (2003) and an MFA at Indiana University (2007). 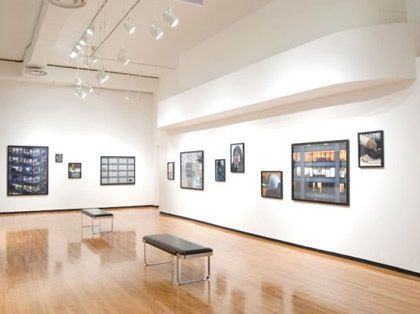 Recent exhibitions include Photo-Op: 14th Annual Competition Exhibition, Photographic Center Northwest, Seattle (3rd Place Award);Stages: The Constructed Photograph, Gallery RFD, Swainsboro, Georgia; and Bridgeport All-stars, Co-Prosperity Sphere, Chicago. Whitmore is the online editor of Proximity, a contemporary art and culture magazine, and is currently on faculty at Columbia College Chicago.